These ribs are a family favourite. This recipe comes from the "Company's Coming" Slow cooker cookbook. I like to cook them in the slow cooker until tender but not fall off the bone tender and then finish them in the oven. This allows the sauce to thicken and also for the ribs to get a little crispy. Tender and tasty!! Great for week nights but special enough to serve to company. This recipe has been in our families for well over 20 years. It was originally given to us to us by our near and dear sister-in-law. Over the years it has been revamped into this version. There were a few years up here in Canada that we were unable to purchase Bugles (the dry years) as General Mills had stopped distributing the Bugles up here, so whenever we or someone we knew went to the USA or Mexico we had them bringing us bags of Bugles. 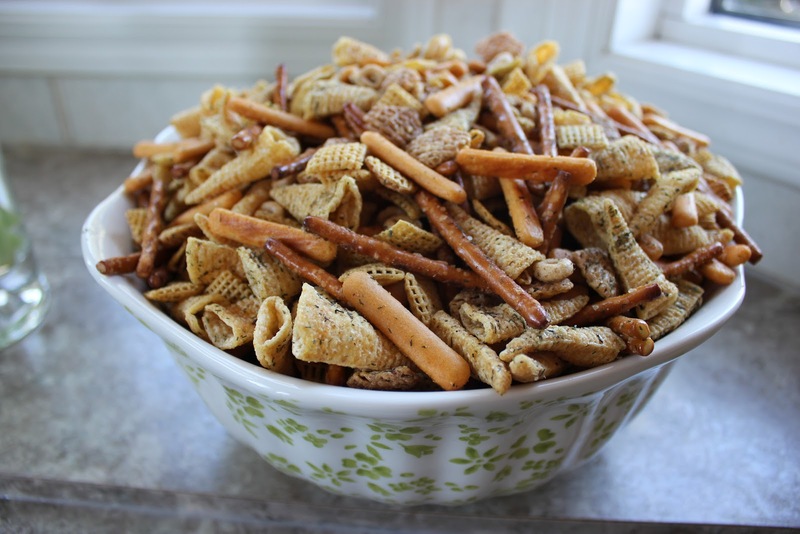 The types or quantity of cereals/crackers can easily be changed to suit your likes, just make sure you stick to the same quantity of dry ingredients. This mix also makes a nice gift for co-workers, teachers etc. at Christmas time. Many folks that normally don't like "Nuts and Bolts" have changed their minds after tasting this version. This cake is exceptionally moist and flavorful. The recipe begins with a standard boxed cake mix however with the addition of few special ingredients this cake is elevated to "show stopper" status. All too often you hear folks saying "no cake for me, I don't like sweet icing" but once they try this one they become addicted to it !!!!! Throw away all your other recipes as this will be the only cake you will be ask to bake!!!! This is a quick and easy appetizer!!! Loved by one and all. Use Ro-Tel or try using your favorite salsa. This recipe is easily adaptable, make it more cheesy or add more salsa, adjust to your taste! Our Best Friend in the Kitchen!!! This is our first recipe on our blog. We chose this recipe specifically because of it's crowd pleasing effect. This recipe has been in our family for over thirty years. This is is an excellent appetizer to bring or serve at your Easter gathering. HINT: Do yourself a favour and have a few copies on hand as your guests will definitely be asking for one.